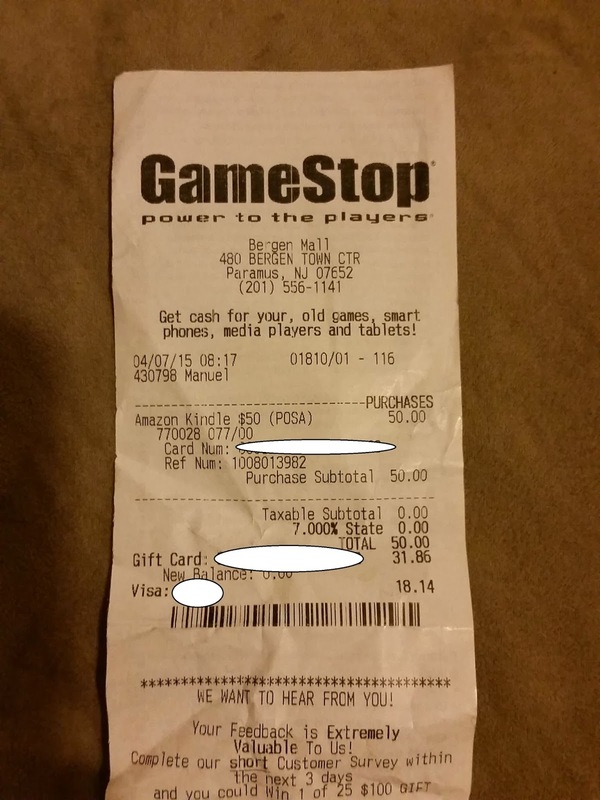 A friend of mine let me know that GameStop gift cards can be used to purchase other types of gift cards in store including Amazon Gift Cards. I spend a ton of money on Amazon every year so Amazon Gift Cards equivalent to cash in my mind. This is quite nice since GameStop Gift Cards can be bought at a discount online. I went tonight to check it out myself and it worked like a charm! A quick check on Gift Card Granny shows that you can buy a GameStop gift card for 10% off via eBay and 8% off via giftcards.com. Buying gift cards on eBay is great since you can get an additional 1.5% cashback from Top Cashback and you are eligible for eBay Bucks which can be used for future purchases. If you use a Chase Ink Business credit card you might even get 5x points for the eBay purchase. Once I knew about this I checked online and there have been others who have talked about it before. One is in the Frequent Miler Laboratory which is a great resource to check for any gift card or shopping portal questions. It is also discussed on Slickdeals. Buy close to $50 or numbers divisible by 50 since Amazon Gift Cards are sold in GameStop in $50 denominations, at least in my local store. Otherwise you are paying for the rest with a regular credit card.